Spring’s first scent of Lilac. The unmistakable sweet spicy vanilla fragrance of Viburnum carlesii. The sultry summer perfume of Roses. 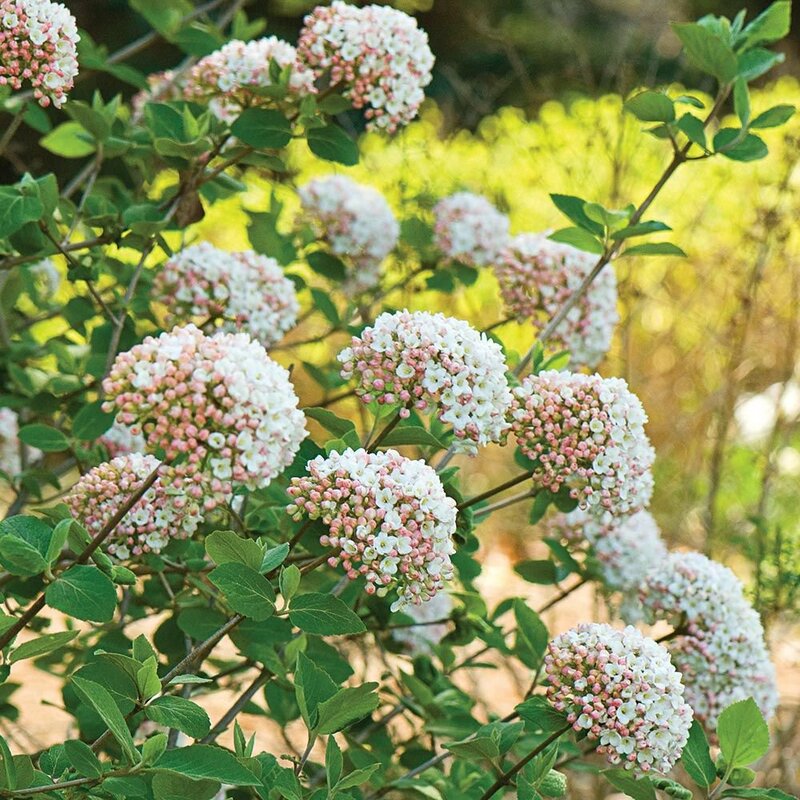 Fragrant shrubs can fill your garden with heavenly perfume from spring to fall. Choose a variety of shrubs to add fragrance to your garden (and to fill vases in your house) throughout the growing season. Among our favorites, early spring brings the sweet perfumes of Azalea ‘Northern Hi-Lights,’ Lilac Bloomerang® ‘Pink Perfume,’ and the native Lindera benzoin. Late spring offers the spicy scent of Daphne Eternal Fragrance™ and the sweet citrus fragrance of Philadelphus (Mock Orange). Roses and Clethra can be relied upon to perfume the garden in summer with some of the Rose varieties continuing into fall. Scroll below to learn more about these fragrant plants, and find more here. 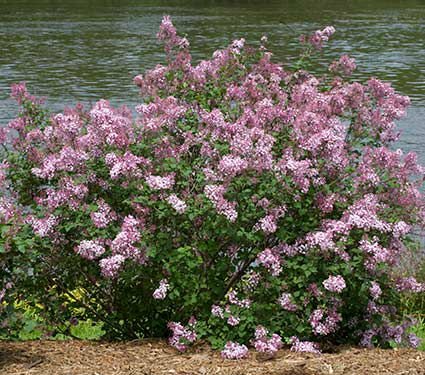 If you’ve always wanted the intoxicating scent of Lilacs in your garden, but didn’t have room for them, take a close look at this lovely addition to the Bloomerang® family of reblooming Lilacs. Its upright, bushy form reaches just 4–5′ tall, and its dainty spikes of reddish purple buds open to intensely fragrant, soft pink flowers. ‘Pink Perfume’ blooms heavily in May and, after a short rest, flowers again intermittently until fall. These charming plants give a neat show of color for containers, pathways, and intimate spaces. This is one of the most gloriously fragrant shrubs known to man. The dense flower heads, which measure up to 3″ across, produce white flowers from blush pink buds, and the perfume, which is a sweet, rich, spicy vanilla, carries a considerable distance across a lawn or garden. Plant one or two where you take your springtime strolls. 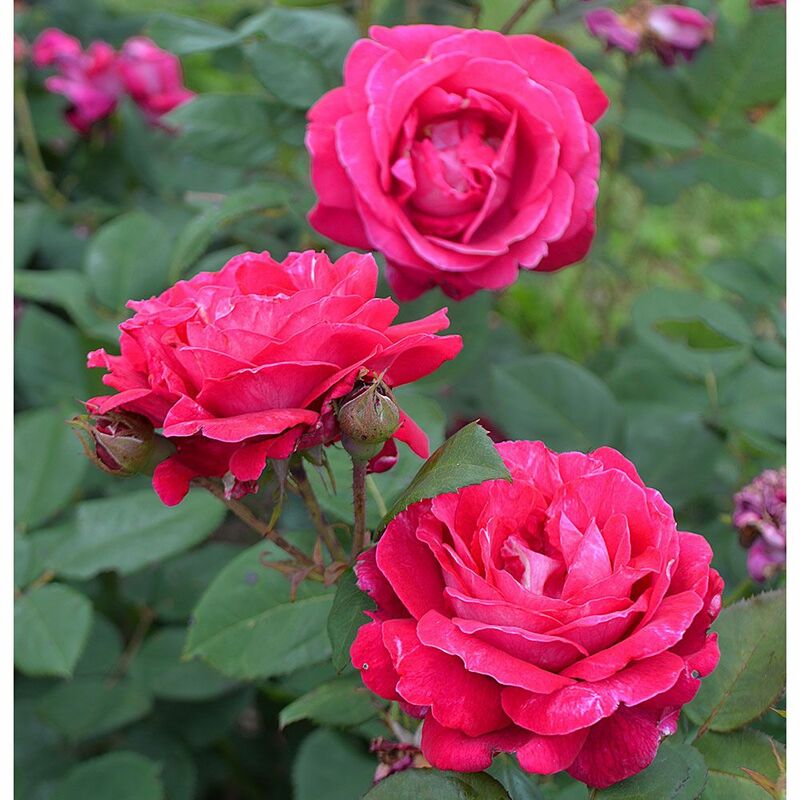 A profusion of vibrant, violet-red blossoms, 3-5 per stem, appears nonstop on this vigorous Hybrid Tea. The fully double 3” flowers are richly perfumed, and they are handsomely displayed as they gleam in the sunlight against a backdrop of subtly glossy, dark green foliage. These bushy, mounding plants show increased resistance to black spot and improved tolerance of humidity. A staff favorite at the nursery. This deciduous Azalea is a welcome addition to the garden for those of us who must suffer through brutally cold winters. Released by the University of Minnesota Landscape Arboretum in 1994, ‘Northern Hi-Lights’ is hardy to Zone 4. 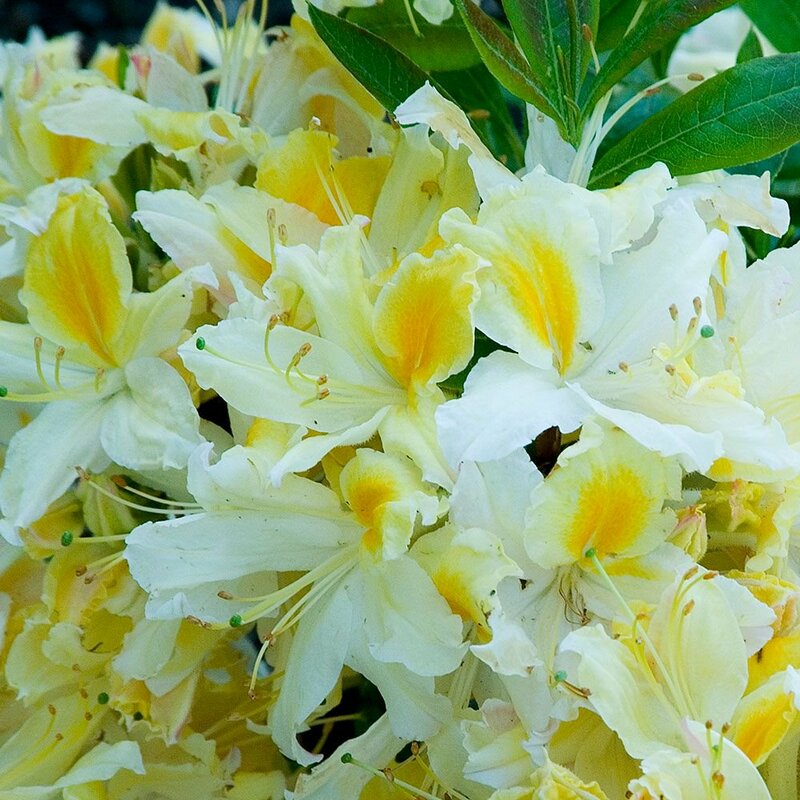 Its sweetly fragrant flowers emerge white with splashes of yellow on the upper petals. Mildew-resistant foliage on this strong grower turns a striking burgundy red in the fall, before dropping for the season. When Lindera benzoin displays its dense clusters of fragrant flowers, we know for certain spring has arrived. These lovely yellow blossoms appear before the leaves emerge. In summer, the light green foliage makes an attractive backdrop, and in autumn the leaves turn bright golden yellow. 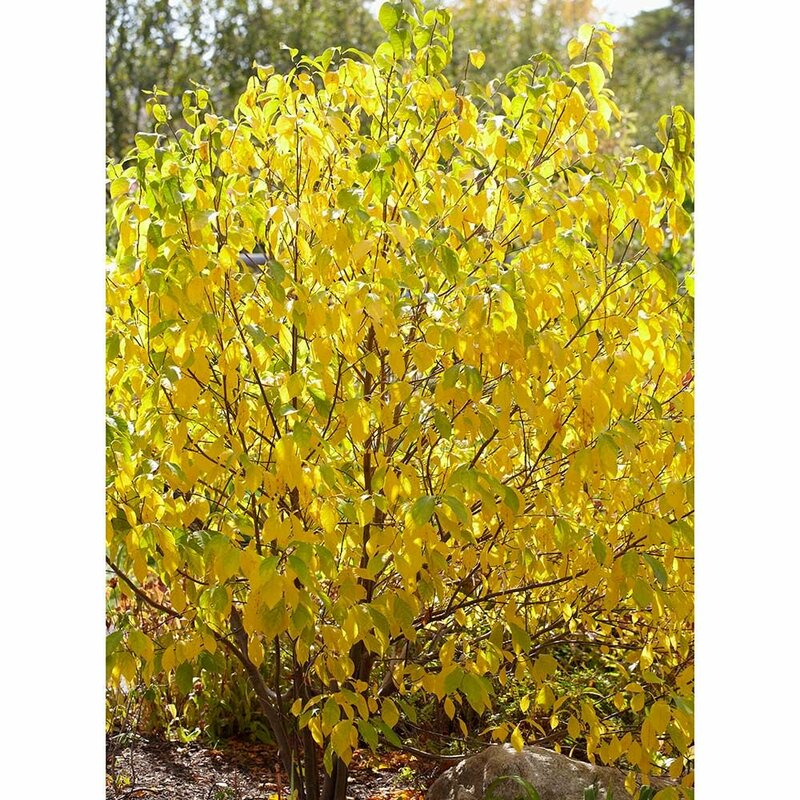 Lindera benzoin is native to eastern North America and parts of the Midwest, and it makes a handsome addition to woodland gardens and moist areas near ponds or streams. More reasons to love this shrub: The beautiful Spicebush swallowtail butterflies rely on it as a food source for their caterpillars, and deer tend to avoid it.